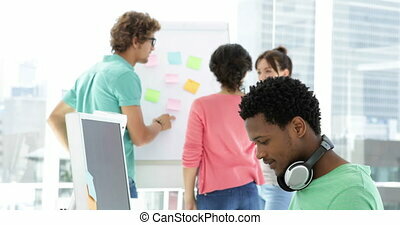 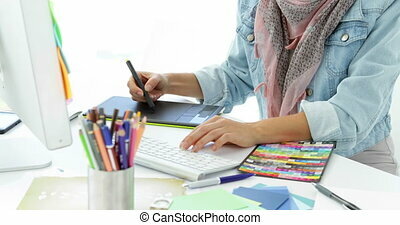 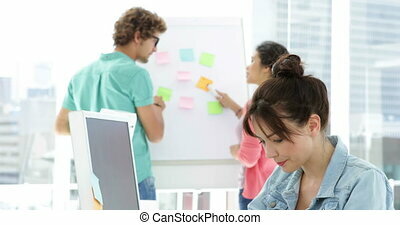 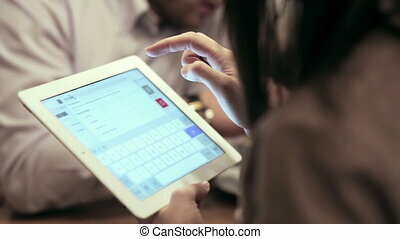 Creative businesswoman using tablet pc with colleagues behind her in the design studio. 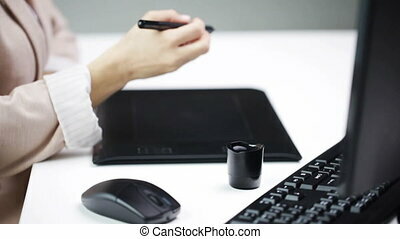 Creative female hipster designer working with digital tablet and drinking coffee while sitting on couch in dimmed lighting in loft interior. 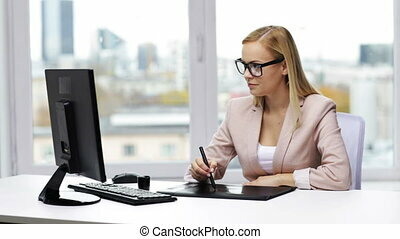 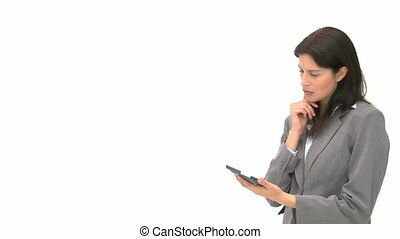 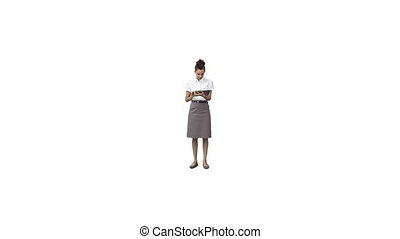 Freelance woman browsing the net on touchpad in loft room. 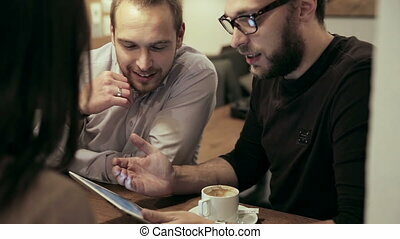 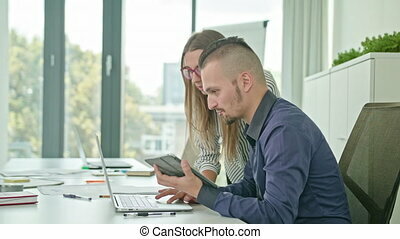 Two workers using tablet and notebook in the office.